CEMETERY – The Veterans Land Board (VLB) maintains four Texas State Cemeteries for Veterans. The cemeteries are located in Abilene, Corpus Christi, Killeen, and Mission. Eligibility requirements for a Texas State Cemetery are the same as for burial at a Department of Veterans Affairs (VA) cemetery. There is no charge for burial of eligible Veterans. The Texas State Cemetery burial benefit includes the grave plot, the opening and closing of the grave, a concrete grave liner for casketed burials, a headstone or marker, and perpetual care of the grave. Funeral homes obtain a burial flag to accompany a Veteran’s casket or urn. The burial benefit for Veterans, their spouses, and their children does not cover funeral-home charges (e.g., cost of a casket, viewing, flowers, or transportation of the remains and family). EDUCATION – The State of Texas offers the well-known Hazlewood Act educational benefit for qualifying Veterans, spouses, and dependent children. In summary, the Hazlewood Act provides for up to 150 hours of tuition exemption, including most fees, at public institutions of higher education in Texas. Living expenses, books, and supply fees are not included as part of the Hazlewood Act. For details on the Hazlewood Act, see the Texas Veterans Commission (TVC). The TVC site includes an application tutorial as well as an application form and a wealth of additional information. HOUSING – Managed by the VLB, the State of Texas has several generous benefits available to assist eligible Veterans and their families. Among the programs are the Veterans Housing Assistance Program (VHAP), the Veterans Land Loan Program, and the Veteran Land Board Home Improvement Loan program. 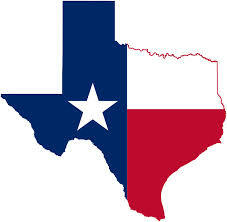 VHAP helps Texas Veterans purchase a home by offering a competitive, low-interest loan with little or no down-payment. Qualifying Veterans, military members, and their spouses may receive up to $417,000 on a fixed-rate loan for terms running from 15 to 30 years. Veterans who are 30-percent or more disabled qualify for a discounted interest rate. The Veterans Land Loan Program is the only one of its kind in the nation. This program permits Texas Veterans to borrow up to $125,000 to purchase land at competitive interest rates, while typically requiring only a minimum 5-percent down payment for tracts of one acre or more. The Home Improvement program provides below-market interest rate loans to qualifying Texas Veterans for they can make home repairs or otherwise improve their existing homes. The Veterans Land Board offers up to $25,000 for a 20-year loan or up to $10,000 for a 10-year loan. Veterans who are 30-percent or more disabled qualify for a discounted interest rate. Automobile Licenses/Plates – See the Texas Department of Motor Vehicles (TXDMV) site for details on free and discounted license plates and parking placards for Veterans and disabled Veterans. Hunting and Fishing Licenses – Disabled Veterans AND active-duty military personnel living in Texas are eligible for free “Super Combo” hunting and all-water fishing licenses in Texas. See the Texas Parks & Wildlife (TPWD) site for details on this important benefit provided by the State of Texas to disabled Veterans and active-duty military personnel living in Texas. Occupational Licenses & Franchise Tax Exemption – Recent changes to Texas law provide waivers of occupational license fees for eligible disabled Veterans, Veterans, active-duty military personnel living in Texas, and their spouses. Eligible Veterans may also qualify for franchise-tax exemptions under new Texas laws. PARKS – Texas State Parks offer a “Veterans Passport” which allows free entry to Texas State Parks for U.S. Veterans who have a 60-percent or greater service-connected disability, or who have lost a lower extremity. See the TPWD site for additional details. TAX EXEMPTION – Qualifying disabled Veterans, their surviving spouses, and the spouses and minor children of a service member who dies on active duty in the U.S. Armed Forces are eligible for property tax exemptions on the appraised value of their property. The information above covers just a portion of the benefits available in Texas to Veterans, active-duty military, and spouses. Follow this blog site for periodic updates on Texas benefits for Veterans. Are you a Texas resident? The Law Office of Robert B. Goss, P.C. helps Texans with landlord-tenant issues, property law matters, unfair debt collections, deceptive trade practices (“rip-offs”) and Texas employment law issues. The good news is, by taking prompt, early action, you are in the best position to defend your rights. DON’T WAIT. Contact the Law Office of Robert B. Goss, P.C. today to a FREE consultation.